I hope you like the newbie for Girlfriend's Girlstrology. I think this is my fave illustration i've done for GF so far. 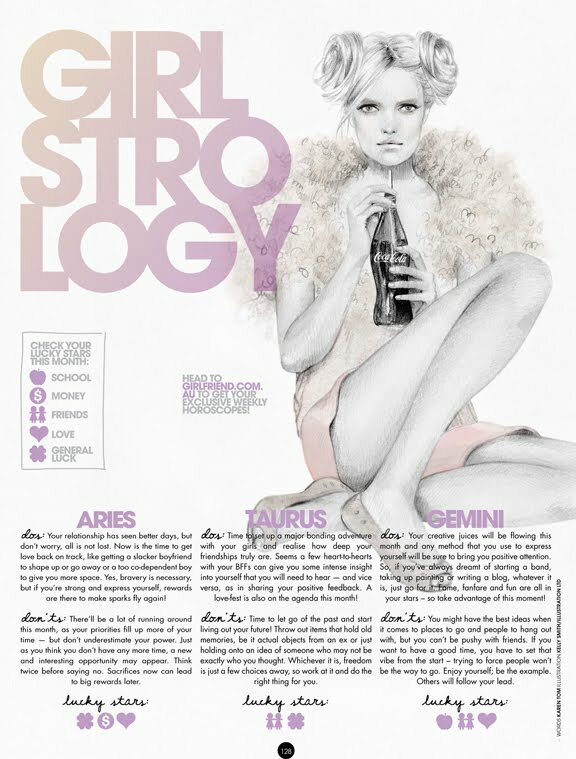 Leighton Meester on the cover. 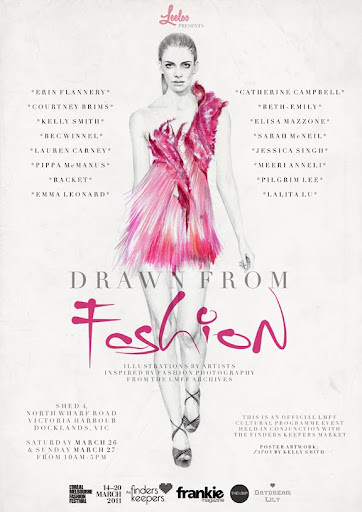 the Drawn From Fashion exhibition is finally here! Aussie artists - all taking inspiration from past LMFF runway shows. but it's the best I can do under the circumstances. I've seen a few peeks of the work so far and it's AMAZING. but only have 18 Sadako prints left! a big contribution to the Red Cross Japan Relief Fund. People have been so generous so far, and there's only the tiniest way to go.